Summer play. 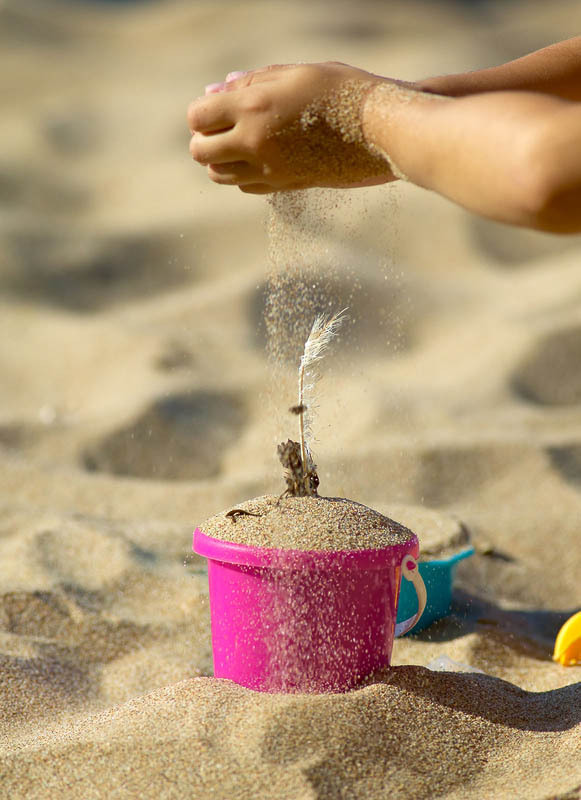 Summer scenery with little hands of child playing with sea sand on sunny beach. Blur background.